In addition to Big Time, Hollywood sold the Hollywood Bar and Milkshake candy bars, among others. 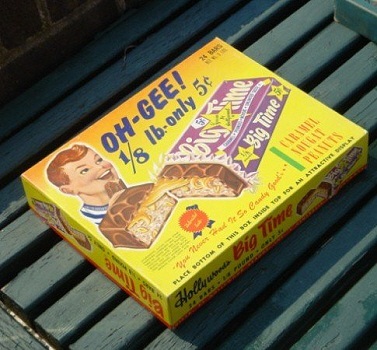 They were bigger than Milky Ways or Snickers at 1/8 pound, but still only 5 cents. Hollywood also originated the Zero and Payday candy bars (both now made by Hershey's).